As the end of the year quickly approaches, we often see some discounting on properties that the owners don't want to carry over the winter months. This year is no exception with a couple of particular note. 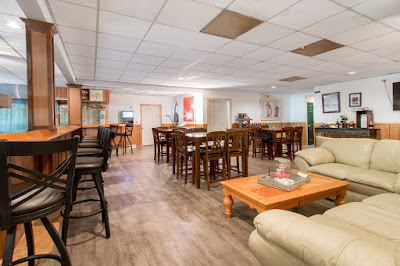 The first, which I call, the Ice Fisherman's Retreat, is located at 2808 Mabie Street, just off of the South Shore. Recently remodeled, this cozy two bedroom has all the essentials for an Ice Fishing base camp... Heat. Well actually, it has more than just a new furnace. The house is surrounded by a chain link fence for secure toy storage, a detached garage, for secure toy storage, and a long paved driveway, for secure toy storage. Priced at only $127,500 the property is in the Delmar Association that includes a boat launch that is perfect for launching your Ice Fishing Shanty in the winter and jet skis in the summer. Inside is enough room for weary fishermen and women to unload their gear and cook up the days catch. In addition to the two small bedrooms is a front living room area and back enclosed porch. A great opportunity for anyone wanting to set up their base camp. The second year-end-value is for those ready to cozy up to a fire and entertain guests in an updated three bedroom condo in the Geneva Landings complex. Found on the north side of the lake, 2172 Newbury Lane gives you the opportunity to enjoy Delavan Lake without the worries of home ownership. Besides having a first floor master suite, attached one car garage and open concept living room with field stone fireplace, this unit enjoys on-site management for lawn care and snow removal. 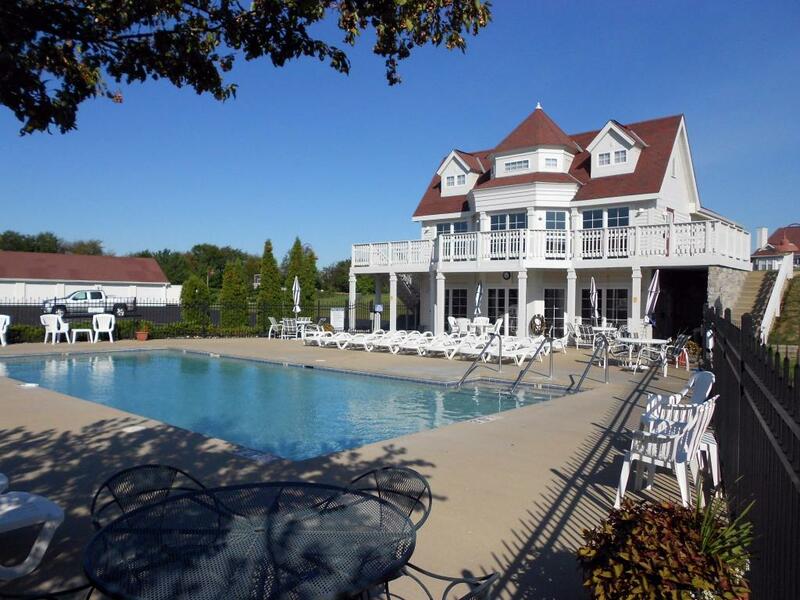 In the summer you can enjoy the in-ground swimming pool, bocce ball court, boat launch and extensive pier system. There is a short waiting list for a boat slip and convenient In-and-Out-Service for those who desire professional assistance. Inside the unit you will also find a first floor deck overlooking the grounds, a walk out lower level, new carpet, stainless steel appliances and a cathedral ceiling. The unit has just been reduced to $199,900 and is ready to move in today. 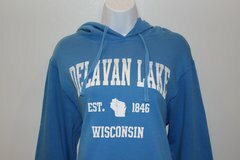 Those wanting some Delavan Lake apparel and gift items can now find a selection at The Delavan Lake Store just off of Delavan Lake, Wisconsin. 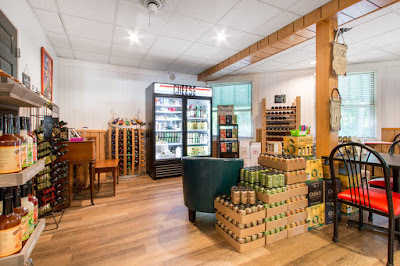 This cozy shop combines a local ice cream, candy, cheese and coffee shop with a relaxing wine and cocktail lounge in the same building. 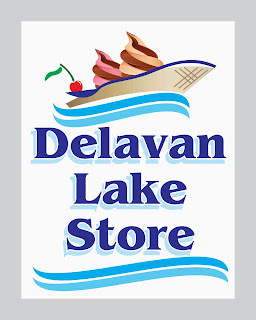 First opened in 2016, the store converted a shuttered restaurant into an ice cream shop and has expanded its offerings to include sweat shirts, t-shirts, hats and bags with Delavan Lake imprints and messages. Also available are mugs, cups, shot glasses, and custom made gift baskets. Offerings on the lounge side include locally produced wines from Staller Estate Winery and The Apple Barn. Wisconsin brews are also available such as ones from: New Glarus Brewing Company, Milwaukee Brewing Company, Lake Geneva Brewing Company, Lakefront Brewery, and Gray Brewing Company in Janesville. Hours are 8-8 Monday through Thursday, 9-9 on Friday and Saturday, and 9-5 on Sundays. For the first nine months of the year, sales of lakefront properties reached 22 units compared to only seven in 2016. Prices ranged from $307,700 for a foreclosed three-bedroom on Manor Lane to $1.9 million for a magnificent newer construction along South Shore Drive. The lack of inventory hurt the lake access homes with 33 selling in the first nine months of this year compared to 43 in the same time frame last year. Prices ranged from $69,000 for a two bedroom summer cottage to $657,500 for a tricked out two-story in Assembly Park with direct lake views. Activity for condos was also strong with 19 sales through the third quarter of 2017 compared to 15 in 2016. Prices for condo sales ranged from $44,000 for a one-bedroom condo hotel unit in the Delavan Lake Resort to $310,000 for a three-bedroom unit in Delavan Gardens on the north shore that included a boat slip and lake views. There are 45 homes currently on the market with lake access or lake frontage on Delavan Lake. This compares to 47 homes available last year and 66 in 2015. The price range of lake access homes starts at $49,900 for a two-bedroom, 645 square-foot cottage in the Delmar Association to $670,000 for a three-bedroom ranch in Lakewood Estates that last sold for $242,500 in 2014. I know inventory is tight, but the asking price on this 1976 relic is $400,000 over the assessed value. 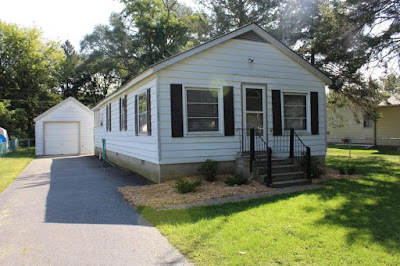 If you want to have water frontage on the main body of Delavan Lake, the starting price point is $399,900 for a two-bedroom bungalow on the west end of the lake. The property has 40 feet of muck frontage and received an accepted offer within two weeks of being listed. The most expensive home on Delavan Lake is a five-bedroom off of North Shore that has been on and off the market for the past two years. Listed at $2.9 million, the home sits on 410 feet of lakefront but is need of major repair and updating. There are only 13 condos with lake access currently on the market around Delavan Lake. This compares to 20 at this time last year. Only two of the condo complexes have units available. Units in the Delavan Lake Resort start at $49,900 and those in Geneva Landings start at $159,000. 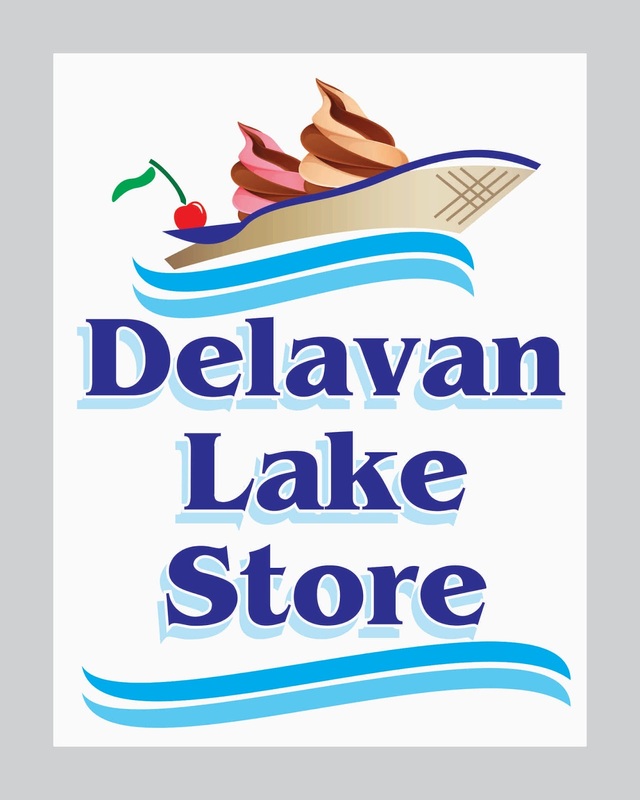 Currently, the best value for a lake access property around Delavan Lake is located at 2808 Mabie Street. This cozy two bedroom is located in the Delmar Association and includes a boat launch and swim pier. 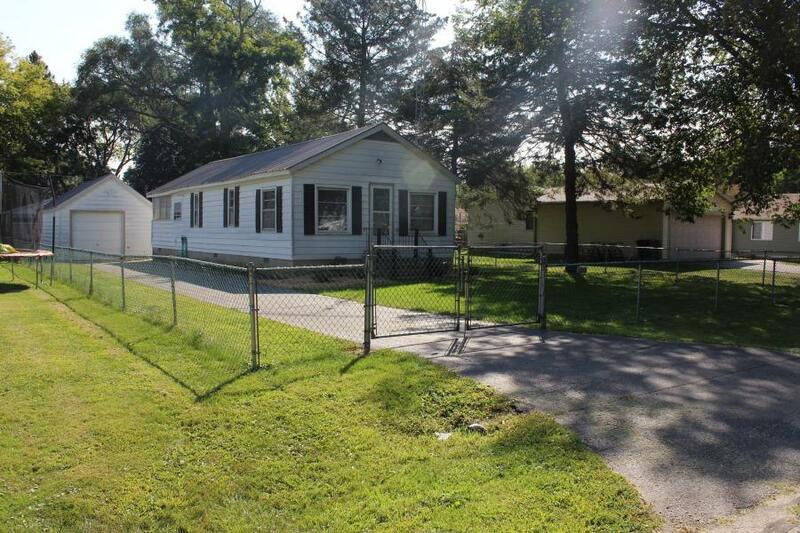 The house has been recently remodeled, has a fenced yard and detached garage. The asking price is $127,500. 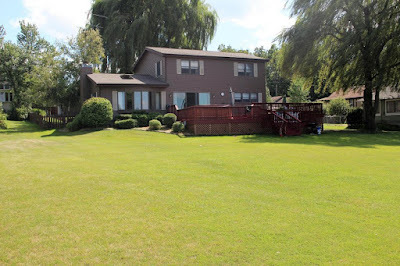 With the limited lakefront properties available, the best value is located at 2804 Manor Lane. Situated on the south side of the lake, this four-bedroom, two-story has 100 feet of level lake frontage, an open concept and plenty of yard space to enjoy the lake views. Listed at only $799,000, the price leaves room for a new owner to update and decorate and still be below market value. 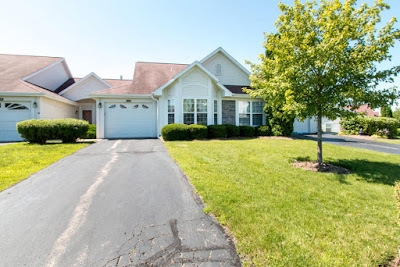 The best value for lake access condos on Delavan Lake is located at 2152 Newbury in the Geneva Landings complex. Although the unit is marketed as a one-bedroom, there is space in the lower level to add one or two additional rooms. Listed at $187,500, it is $31,500 below similar units in the complex. 2152 Newbury Lane in the Geneva Landings complex.